Ash tree outside of Morris Health Center. 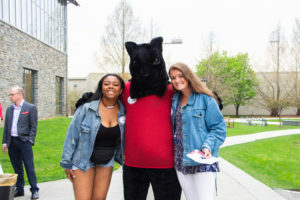 Photo courtesy of Kate Silber ’20. This fall, the Arboretum is preparing for the arrival of the Emerald Ashborer, an invasive species of insect that is expected to decimate Haverford’s population of ash trees over the next few years. The insect was first discovered in the United States in 2002 in Gary, Indiana. 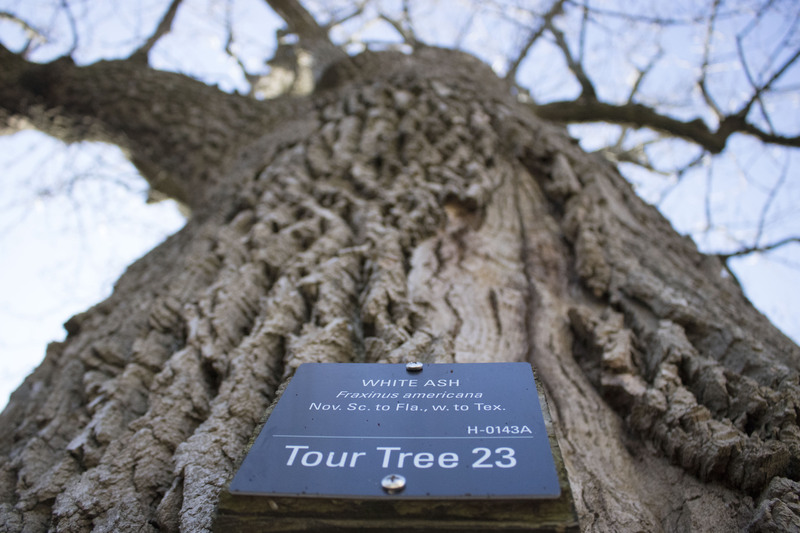 Since its arrival from Asia, it has killed 99% of the ash trees in the American Midwest, according to Arboretum Director Claudia Kent. 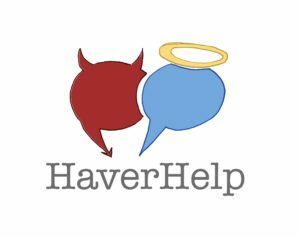 It arrived in the Northern suburbs of Philadelphia earlier this year and has since arrived on the Mainline. Kent said she expects the ashborer to arrive “any day now” within the next two to three months. 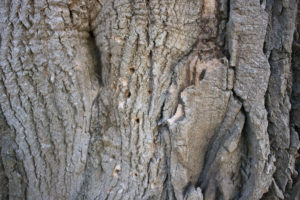 The effect of the ashborer is dramatic; initially, only a few bugs bore holes into trees, but after a couple years, the population booms and destroys the trees. The magnitude of this event is enormous and, according to Kent, only occurs a couple times a century. 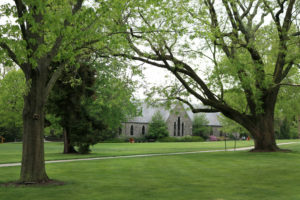 In the twentieth century, Northeastern chestnuts were stricken by blight, wiping out the chestnuts in Haverford’s woodlands. American ashes are plentiful in the Northeast and also are “cash crop;” Kent speculated that the effect of the ashborer on both the ecosystem and the lumber industry would be massive. Holes in ash tree left by Emerald Ashborer. 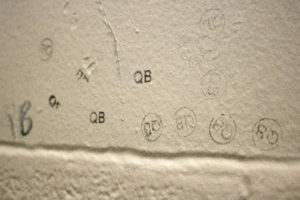 Photo by Kate Silber ’20. 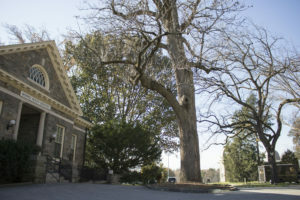 Haverford’s campus is home to hundreds of green, yellow, and black ash trees in the woodlands, but the Arboretum has marked only fifteen trees to save due to the price of the insecticide and the labor necessary to implement it.